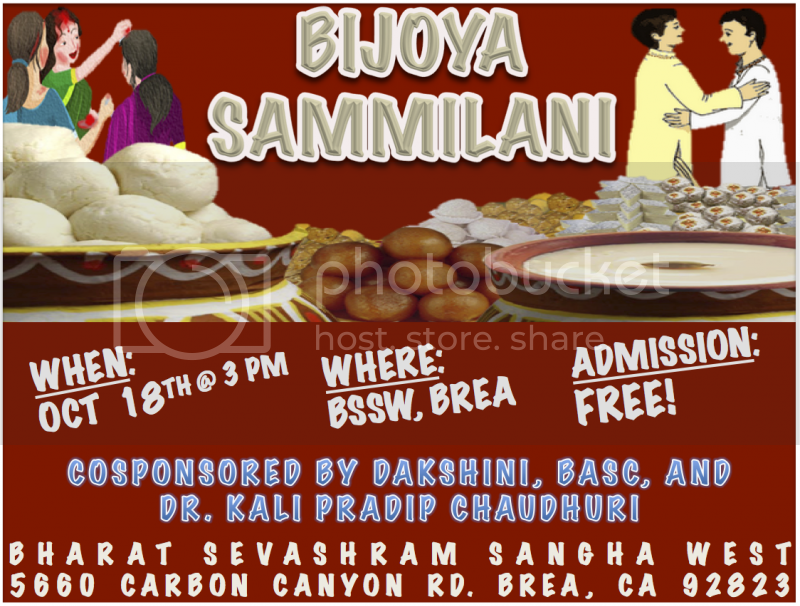 This is a friendly reminder for the Bijoya Sammilani event that will take place this Saturday at BSS in Brea at 3pm. We would like to encourage you all to come celebrate with us and the entire Bengali community of Southern California. Click here to RSVP.